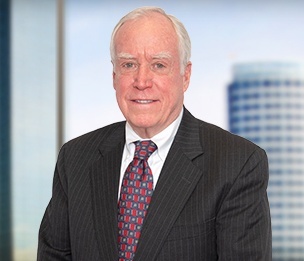 Honorable William B. Murphy is a senior counsel in Dykema's Grand Rapids office. Judge Murphy focuses his practice on business litigation matters, appeals, mediation and arbitration. Prior to joining Dykema, Judge Murphy served The State of Michigan as a Judge of The Michigan Court of Appeals, where he served three terms as the Court’s Chief Judge by appointment of the Michigan Supreme Court. Previously he served three terms as the Court’s Chief Judge Pro Tem, and has been one of the longest serving judges in the history of the Michigan Court of Appeals. Before being appointed to the Court, Judge Murphy served as a member of the East Grand Rapids City Commission, as a law clerk to the Michigan Court of Appeals, and worked as an attorney in private practice. Judge Murphy has been a lecturer for the Michigan Judicial Institute, various bar associations and continuing legal education programs, and has been an adjunct professor at Michigan State University, College of Law and Western Michigan Thomas M. Cooley Law School.